Arthritis does not have a single cause but has many contributing factors. Mechanical over-use, excess body weight, past injuries and systemic inflammation are all major contributing factors to arthritic changes and joint degradation. Osteoarthritis is characterized by joint cartilage degradation over time and can be worsened by old and new injuries. Osteoarthritis is a very common condition, affecting 14% of adults aged 25 and older and 34% of those aged 65 and older1. The mechanical wear-and-tear of osteoarthritis can lead to bone remodeling and bony growths called osteophytes. Osteophytes typically occur as outgrowths of bone and can contribute to pain and further loss of range of motion of a joint. People suffering from osteoarthritis typically have limited range of motion, stiffness and pain of the affected joints. The limited range of motion, pain and stiffness are typically worse in the morning and improve after moving the joint for a few minutes. Arthritic joints often show signs of mechanical degradation, including audible “cracking”, “popping” or “grinding” sounds. Arthritic joints may also show signs of swelling as the condition progresses. The hip, knee, low back, neck, shoulder, feet and hands are all commonly affected joints. 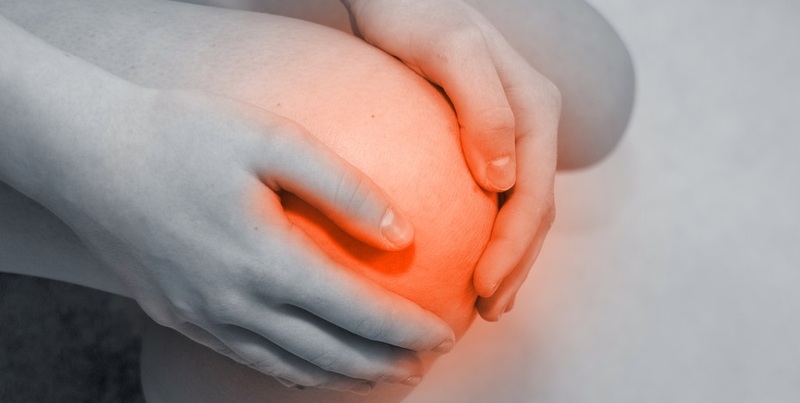 Naturopathic medicine offers effective treatments for osteoarthritis. Typically a patient undergoing a combination approach with two or three natural supportive treatments has a significant improvement in the pain, stiffness and disability associated with their osteoarthritis. Diet & Lifestyle: Keeping a healthy body weight through diet modification and low-impact exercise is an important factor in reducing the progression, easing pain and promoting recovery in osteoarthritis. Prolotherapy: Prolotherapy is a natural treatment which uses a dextrose (sugar) solution treat osteoarthritis. Prolotherapy is a safe treatment which can significantly improve the stiffness, pain and mobility that people with osteoarthritis experience. Read more on Prolotherapy for osteoarthritis. Acupuncture: Acupuncture is an overall excellent treatment for pain. Acupuncture helps to reduce inflammation, swelling and pain associated with osteoarthritis. Acupuncture also promotes healing of affected joints. Read more on acupuncture. Food Sensitivities: Immune reactions to specific foods can also negatively impact arthritic joints. Eliminating offending foods can help to significantly reduce the pain and stiffness of an arthritic joint. Dietary & Herbal Supplements: Although there are several dietary supplements and herbal medicines which are helpful in treating osteoarthritis and associated pain, it is best to consult a naturopathic doctor to have an individualized plan for you and to avoid any possible interactions or contraindications. Lawrence R, Felson D, Helmick C, Arnold LM, Choi H, Deyo RA, Gabriel S, Hirsch R, Hochberg MC, Hunder GG, Jordan JM, Katz JN, Kremers HM, Wolfe F; National Arthritis Data Workgroup. Estimates of the prevalence of arthritis and other rheumatic conditions in the United States. Part II. Arthritis Rheum. 2008 Jan;58(1):26-35.